Be generous with the custom printed M&Ms White Noodle Box and thou shall receive. A lovely surprise is waiting for your customers when they open the promotional M&Ms White Noodle Box. This is an ideal gift to give away on any occasion. With an easy-to-carry handle and foldable lid, the noodle box is versatile and unforgettable. Utilize this product to get your brand name out there and improve your business. Upon opening up the branded M&Ms White Noodle Box, you will be greeted with 100 grams of multi-coloured, button-sized chocolate sweets. The durable noodle boxes are made of white cardboard. The dimensions of the box are 62mm width, 66mm height and 46mm depth. You may install a sticker label right on the box with your company logo and details. You may also choose between two sizes for the printable area of the sticker label, one is 50mm width and 40mm height, or 50mm width and 50mm height. Stickers are printed in full colour. 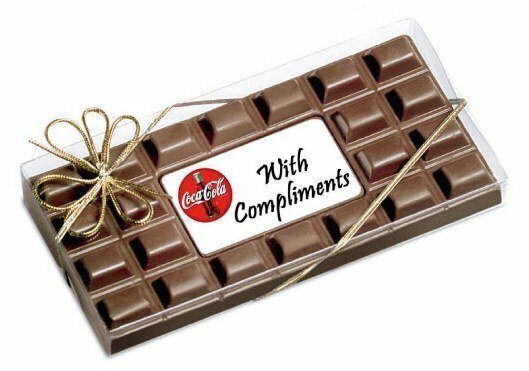 This item will surely be received positively by potential clients and leave a good impression about your brand. After all, what’s not appealing about opening a box full of rainbow coloured confections? To give a truly happy impression in the corporate world, place your order with us as soon as possible. Freshen up your image with our customised M&Ms Big Bucket. You can easily personalise it to fit your brand identity. Get festive throughout the year with our promotional M&Ms 100 gram bag. These are delicious chocolate M&Ms sealed in a tidy little clear cello bag. We have a whole lot more products for you to choose from, and there is something for every preference that you might have. 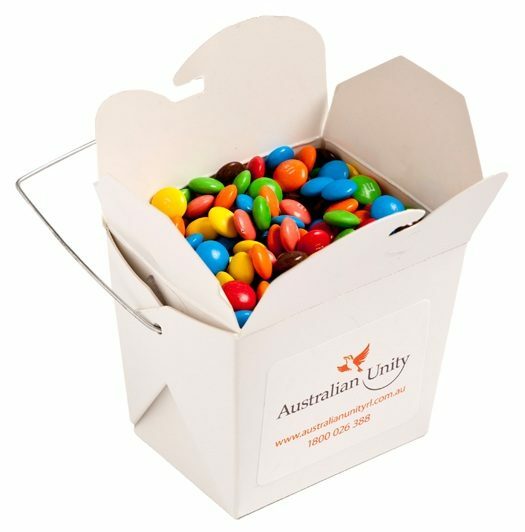 Gift your team with a surprise such as the promotional M&Ms White Noodle Box! These delicious confectioneries will surely be appreciated by clients and colleagues. For more gift ideas, check out the Truckers Mesh Cap and our other easy to personalize hats and caps! Get in touch with us two ways. You can give us a ring at 1300 008 300 to speak to one of our sales team members. Or you can also make use of our site’s live chat feature. One of our agents would gladly assist you with your questions.